Would you like support in looking for work? Would you like to build your skills, motivation, and strengthen techniques on how to celebrate and sell yourself to an employer? Helping you to find the Right Direction! 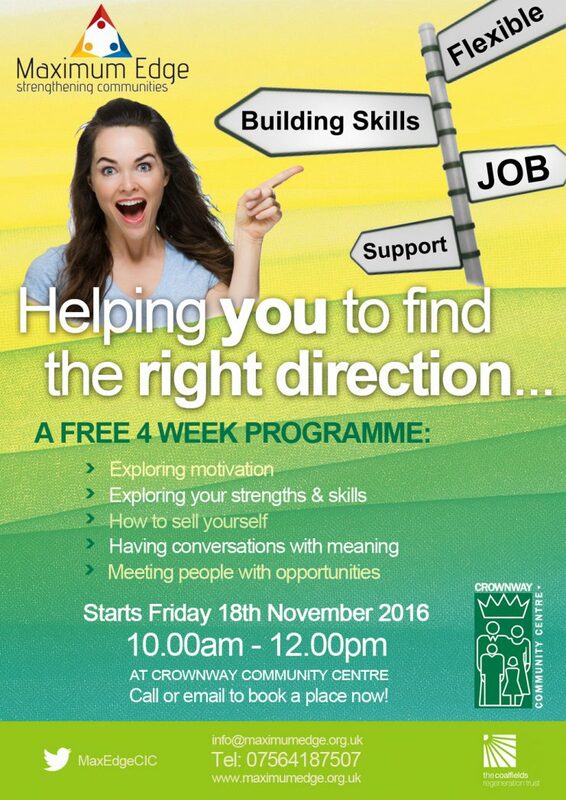 Friday 18th November 2016 from 10am-12pm. Open to residents living in Earlestown, N-L-Willows, Parr, Haydock, Blackbrook, Bold, Town Centre, Thatto Heath and Sutton.